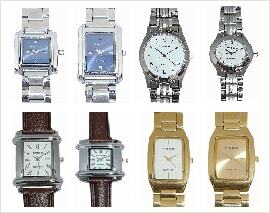 Watches can be customized with your brand logo on the dial to remind your customers about you. 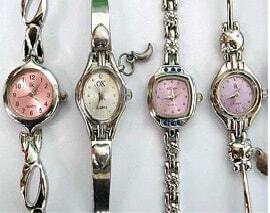 Watches can be gifted in sets for couples or even as separate ladies and gents watches. The box can be customized too copying the known brands to impress the recipient and increase perceived value of the free promotional product. 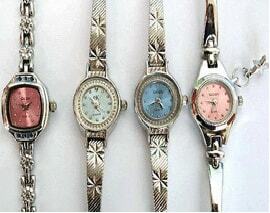 You can have big dials or sports looks depending on the age group you are planning to give the promotional watches. 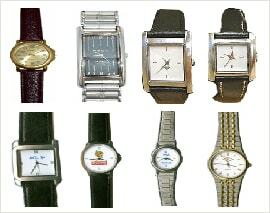 Employees are given watches on completion of number of years of services and dealers on fulfillment of certain targets. 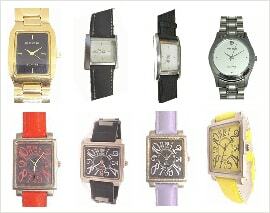 Consumer bundling schemes can be run to increase sales of the products by giving watches free on buying your brand thus ensuring increase sales during the period. The trial thus encourages the chances that your consumer will like your product and switch over to your brand or start using your product regularly if the concept is new. If the volumes are high the casing, straps and dial can be further customized to give it the look of the brand thereby increasing overall mind share. Tips on increasing the life of your promotional watch. WATER RESISTANCE CHECK: Lubricate gaskets, seals and replace them where necessary, ensuring continued water resistance. MAGNETIZATION CHECK: Magnetization is caused by computers, televisions and can cause your watch to either loss or gain time. BATTERY CHECK: During the battery replacement process also check for any leaks that can be repaired at the same time. BRACELET CHECK: Inspect the bracelet by checking the pins and tightening or replacing screws. We are the Indian manufacturers and exporters of promotional gifts and customized odd items.